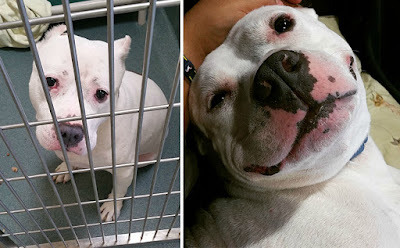 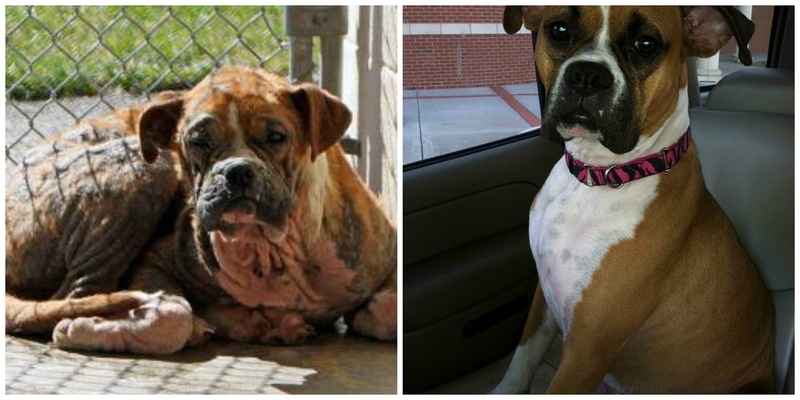 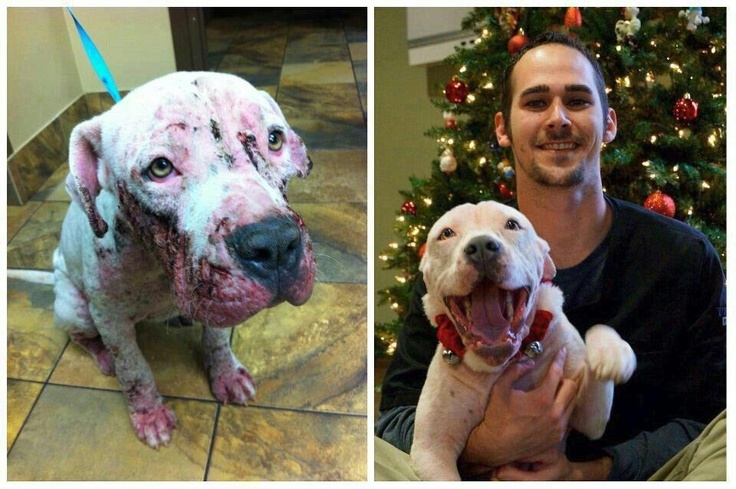 Before and After Adoption Photos of these Dogs will melt your heart !! 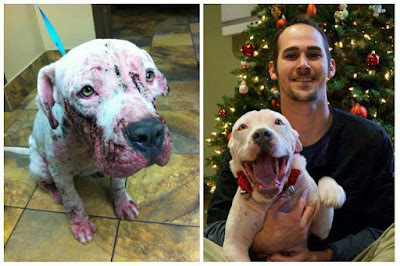 Dogs are man's best friend, many of dog owners have bought their dogs but some of them chose to adopt the dogs. Adopting dog means SAVING A LIFE, More than 2.7 million is the number of adoptable dogs and cats who are still euthanized each year in the United States, simply because too many pets come into shelters and too few people adopt. 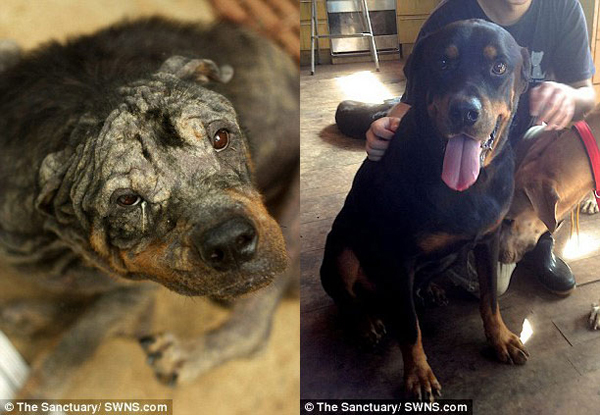 Photos of a abandoned Rottweiler adopted by a soldier in Iraq. 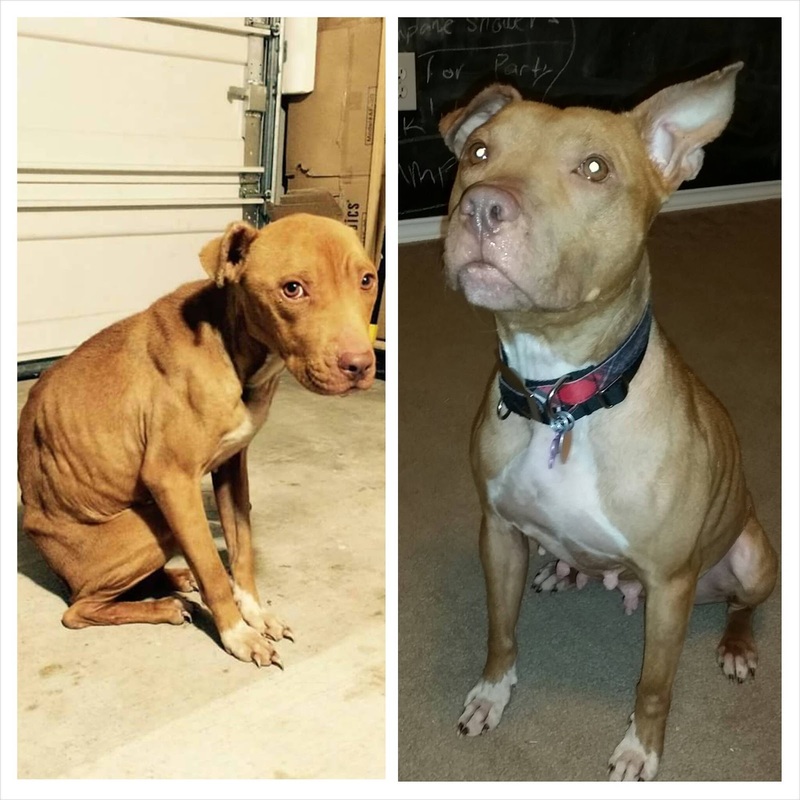 Sadly Pitbulls are one of the most abandoned breeds. 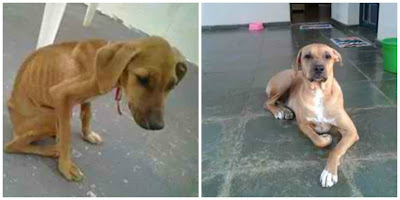 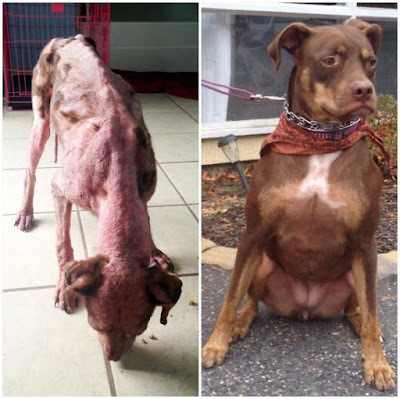 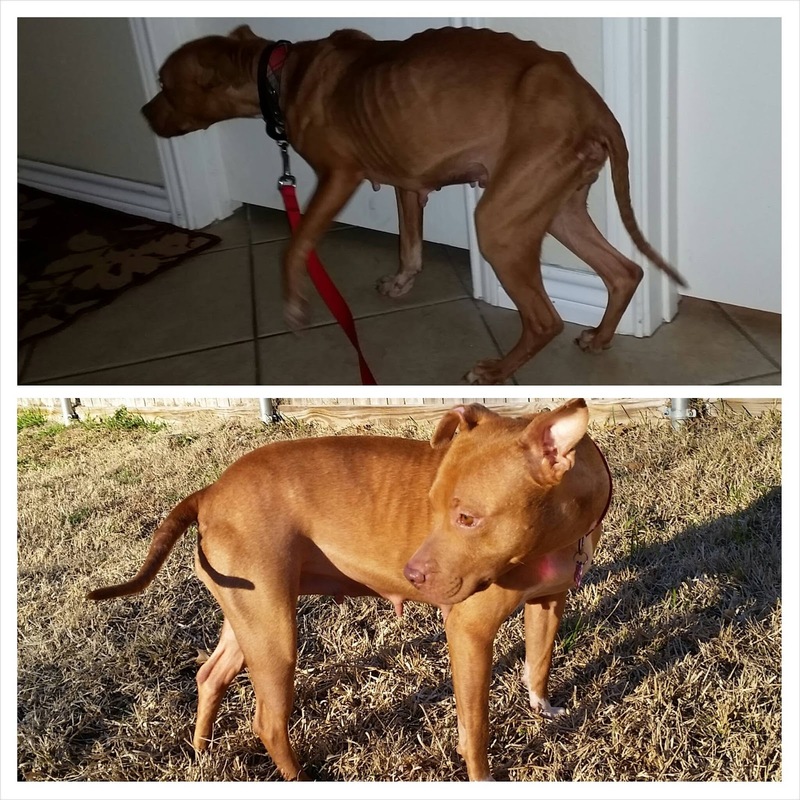 Photos of this skinny dog after adoption, wonderful transformation. 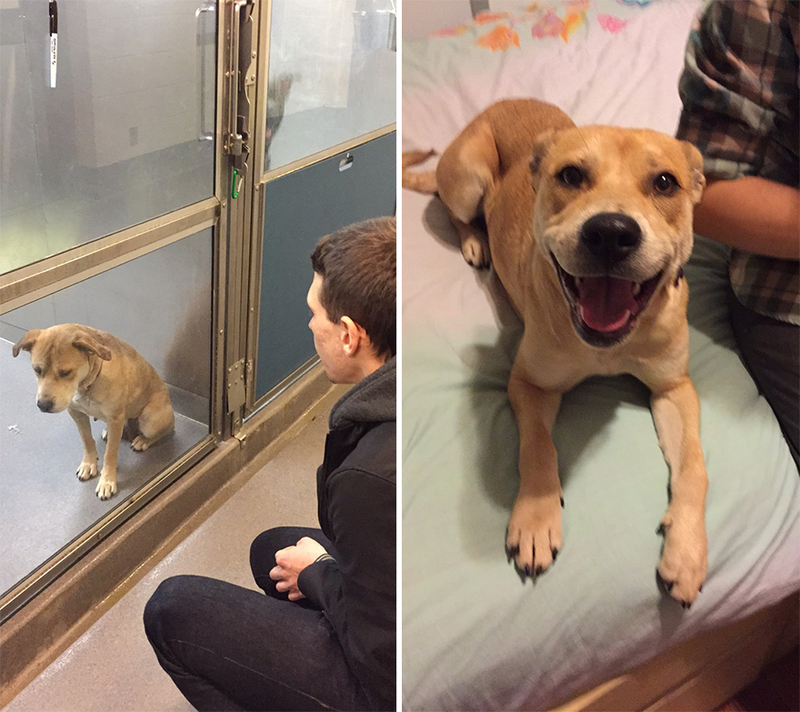 The before photo is in a shelter, the after adoption is the happy dog in the house. 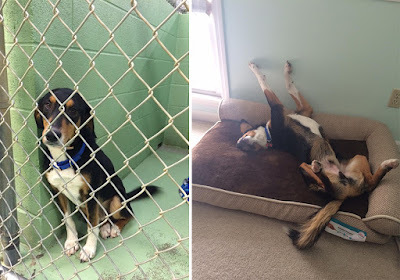 Photos of dog at a dog's shelter and after adoption, he seems very happy.